Dayananda Sagar University was established in the year 2014 with an objective to be the Centre for rendering quality education to the society. 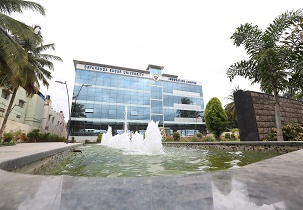 The University is supporting its confidence and morals in allowing an education that authorize students technically, sensibly and logically to the lively and ever challenging business world, the University has occupied training and placement prospects to the succeeding level that is extra than an occupation. The university has a well-formed and consolidated training and placement cell equipping students with latest technologies. The university offers numerous internship programs for the UG and PG students right from the beginning of the course. The main aim of the cell is to enable the students with all the latest skills and abilities to make them reach their goal.